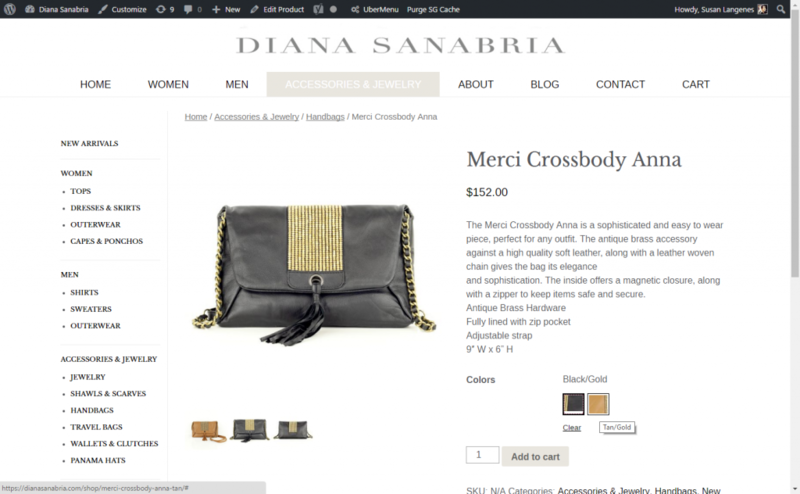 Diana Sanabria is her name, and the name of her clothing boutique. And she’s an amazing designer with an eye for the truly unique in clothing design, which sets her apart from the gaggle of clothing shops in the wine country town of Healdsburg, California. 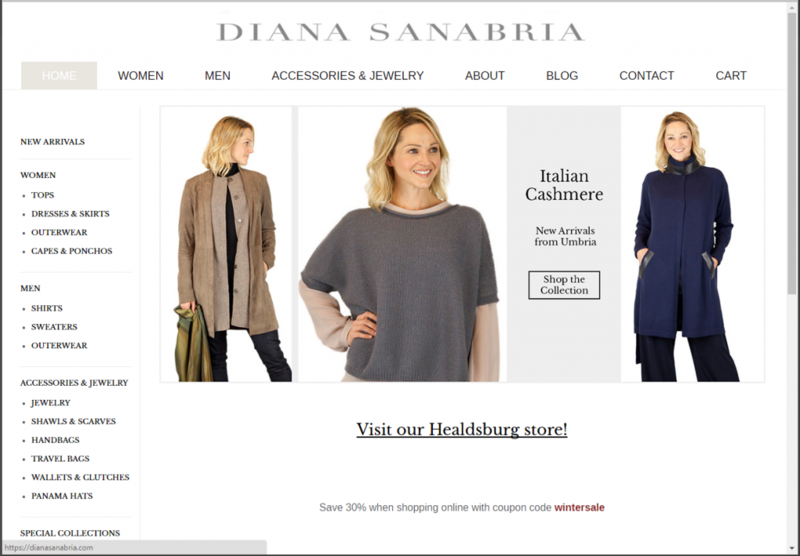 In preparation for an expansion of product offerings including clothing lines by other designers, we gave the store’s website a refresh with a modern, clean, minimal design that maximizes ease of navigation and highlights the newly broadened array of available wares. Design and development by Susan. Props as usual to Elliot Condon for Advanced Custom Fields, and thanks to the Automattic team, wherever you are, for Underscores as well as WooCommerce. 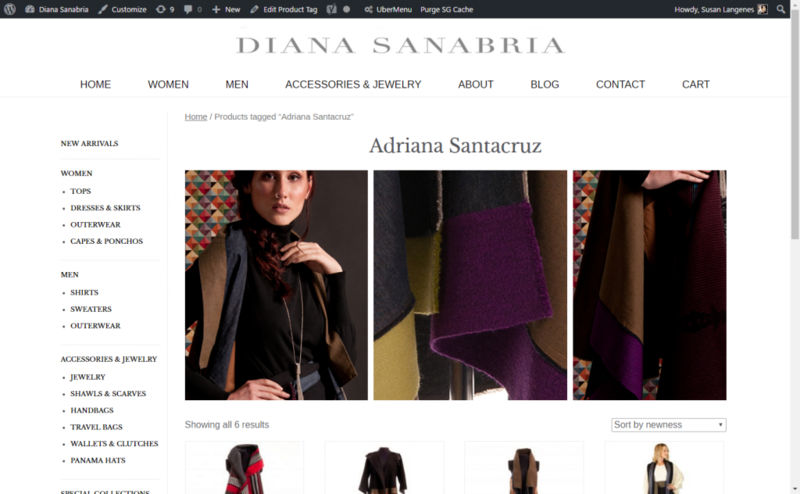 Check out Diana Sanabria’s clean new site right here.